Protective buffer between spinnaker pole ends and after guy shackle. Also for lifelines to aid skirting jibs. High strength polyethylene. 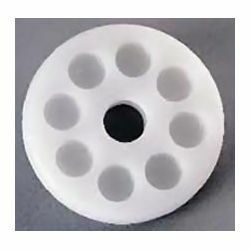 Size diameter: 3" hole size: 1/2"